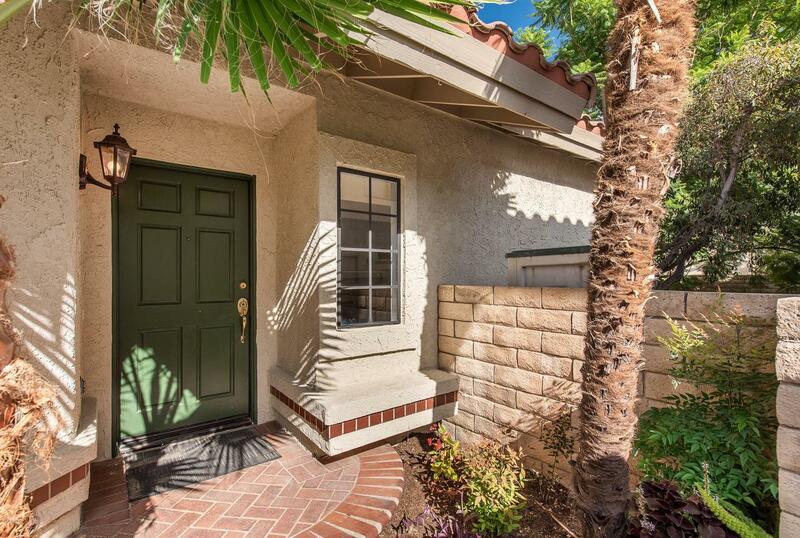 Located across from the Simi Hills Golf course in NE Simi Valley, this rare single story Plan 1 Fairway Park Home features 3 bedrooms, 2 full bathrooms, wood flooring, vaulted ceilings, skylights, fresh paint inside, a light and bright kitchen, a breakfast nook with a glass door to the wrap-around patio and grassy yard. The master bedroom is spacious and has a slider to the side patio. There are two thoughtfully designed secondary bedrooms with window seats and mirrored closet doors. 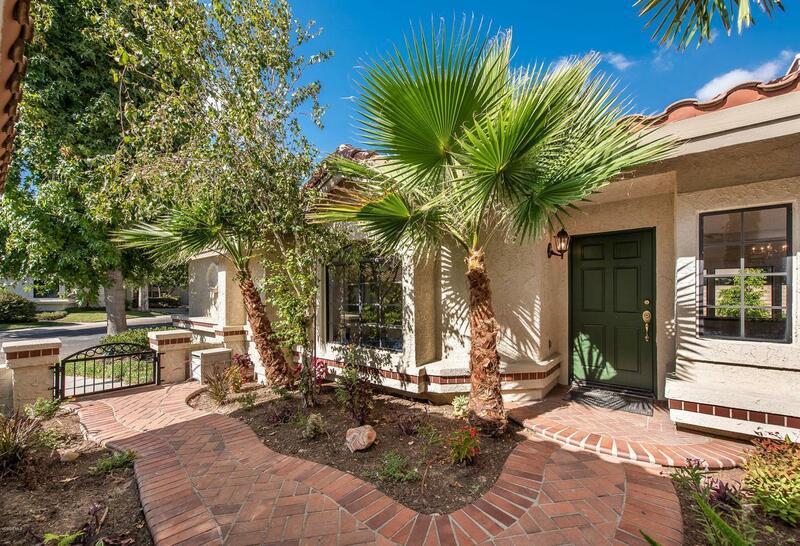 This wonderful home is located near guest parking & the community pool/spa area. Other special features include a 2-car direct access garage w/storage, a laundry closet & a gas fireplace with a rock surround in the living room. 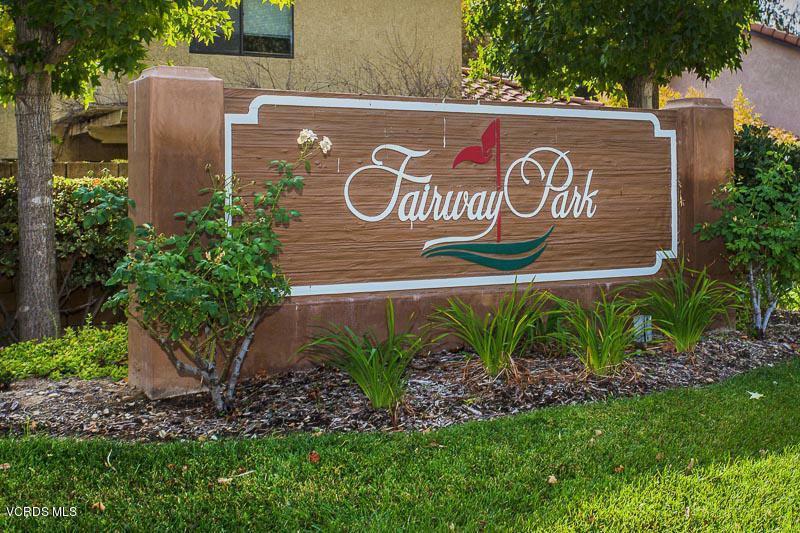 A wonderful floorplan and great location in The Fairway Park community. Turnkey and waiting just for you! 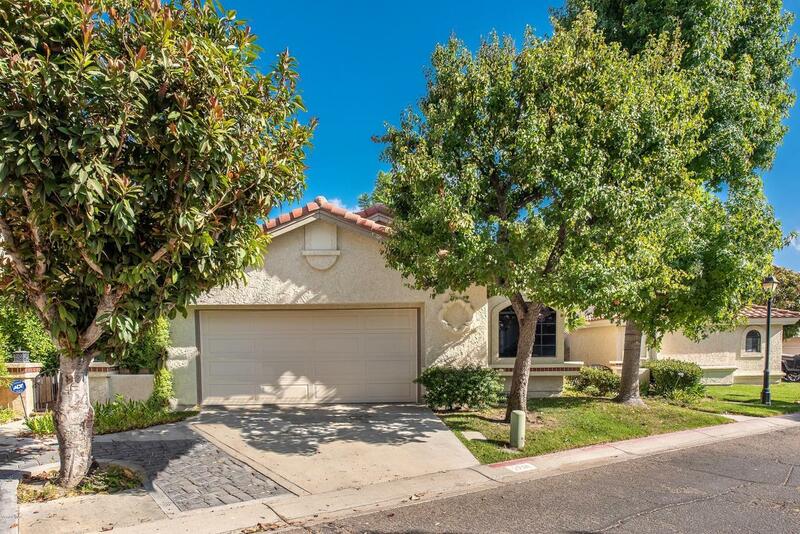 Sold by David Schoenbrun BRE#00779926 of Keller Williams Realty World Class.